Wikipedia is not just a website, it's an ecosystem. And bots are a strangely crucial pillar of that ecosystem. Bots typically make about 50,000 edits every day on English wikipedia. These can be as boring as fixing dead links or as critical as detecting copyright violations. A lot of our communities rely heavily on these bots to take care of clerical tasks which our power users don't have the time for. But who writes these bots? Where do they get the data from? How do I build one? They don't pass the turing test, surely? Let's find out! This talk takes you into the fascinating realm of bots on Wikimedia projects. We take a look at some cool bots that maintain our websites and the technologies behind them. We look at some awesome (ridiculous? the jury is still out on that) frameworks our communities have come up with to keep them up and running. Still interested? Let's learn to write a bot! We'll take a look up close at a simple bot that generates dozens of monthly housekeeping reports for a handful of our projects that help our communities work on what's important. We'll take a look at the code for that bot and try to come up with one of our own! 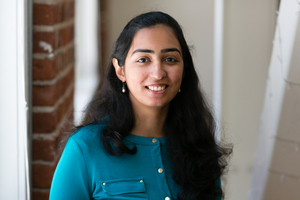 Niharika Kohli is an ex-software engineer, recently morphed into a product manager at the Wikimedia Foundation. She firmly believes in the "once an engineer, always an engineer" aphorism she came up with. She works on the Community Tech team at Wikimedia where her work involves building tools to support the on-wiki editor communities to help them do their work more effectively.